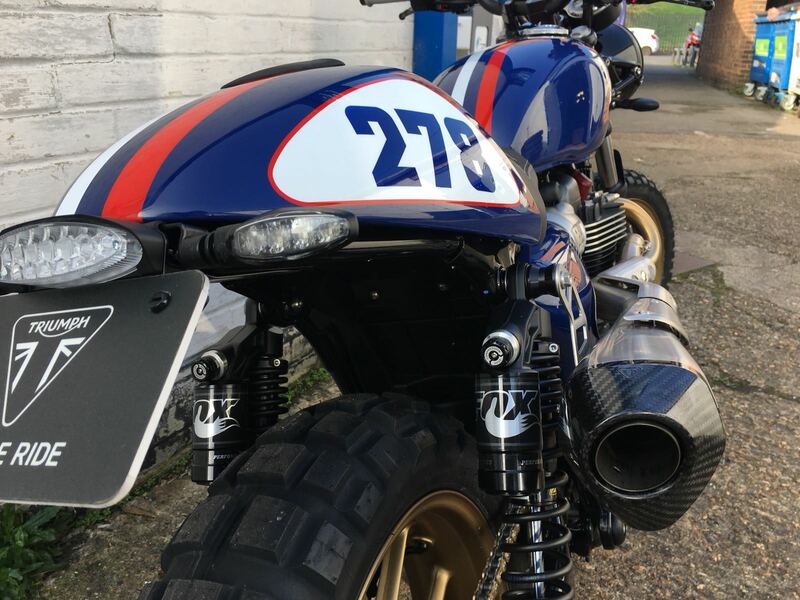 While on the topic of dealer builds, while at this year’s Bike Shed Show at London’s Tobacco Docks, I was able to get a good look at this Triumph Tracker by UK based Triumph dealer Jack Lilley. 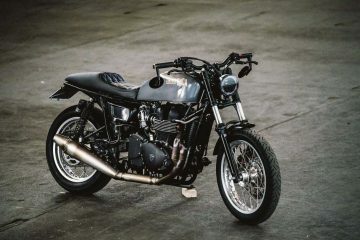 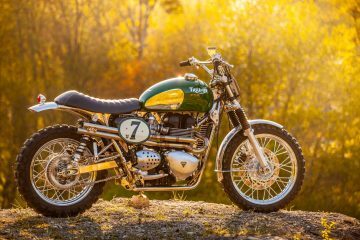 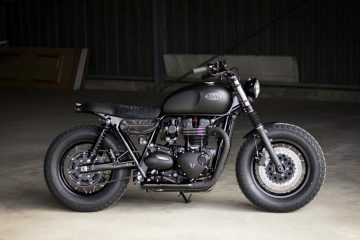 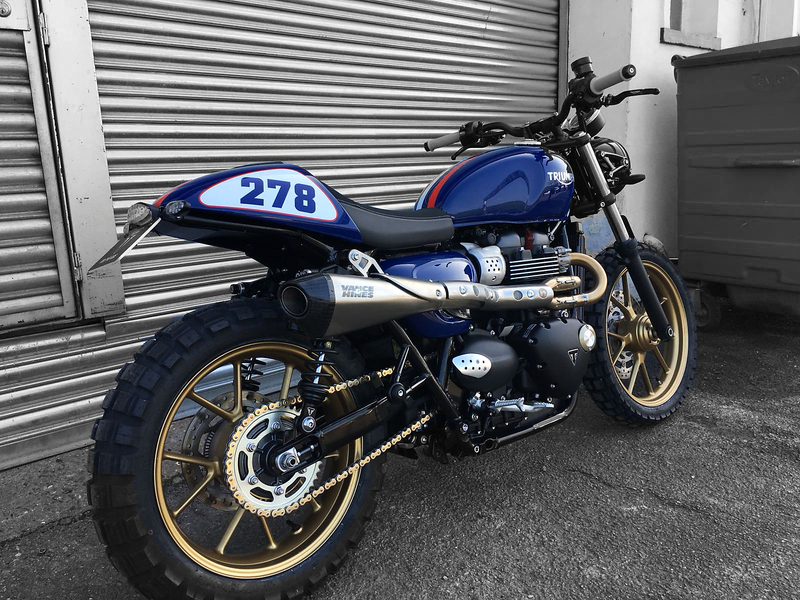 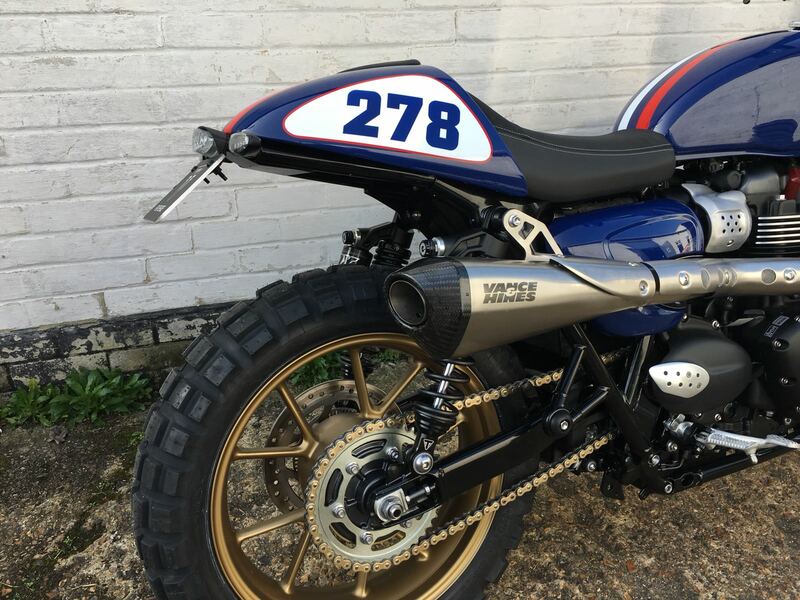 Sporting a very fetching Steve McQueen inspired paint scheme by Surrey Customs, this new Triumph Street Cup has been accessorised with a set of Triumphs LED Turn signals, a black headlight featuring a Street Scrambler grill and black headlight brackets. 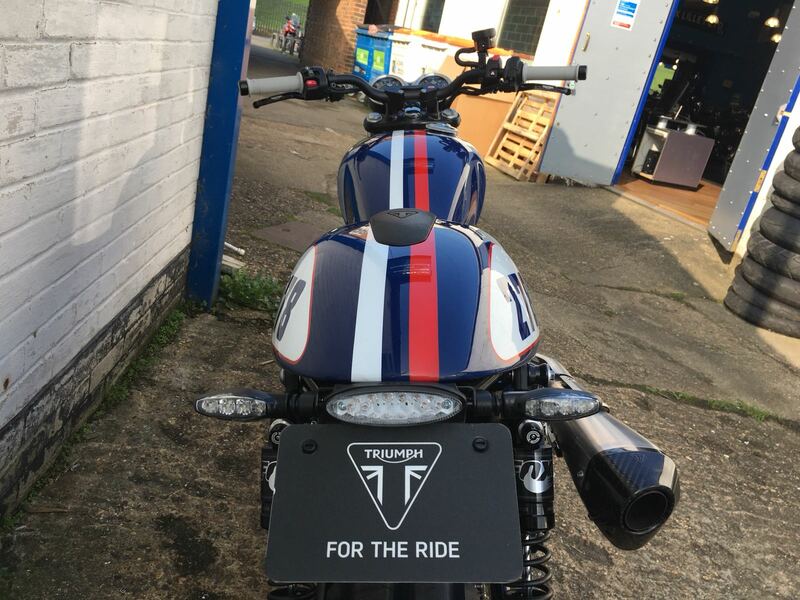 Behind which sits a Triumph Street Triple RS handlebar, fitted with Triumph adjustable levers, diamond grips and black bar end bar finishers, and attached to the Street Cup using a Freespirits Fat Bar clamp. 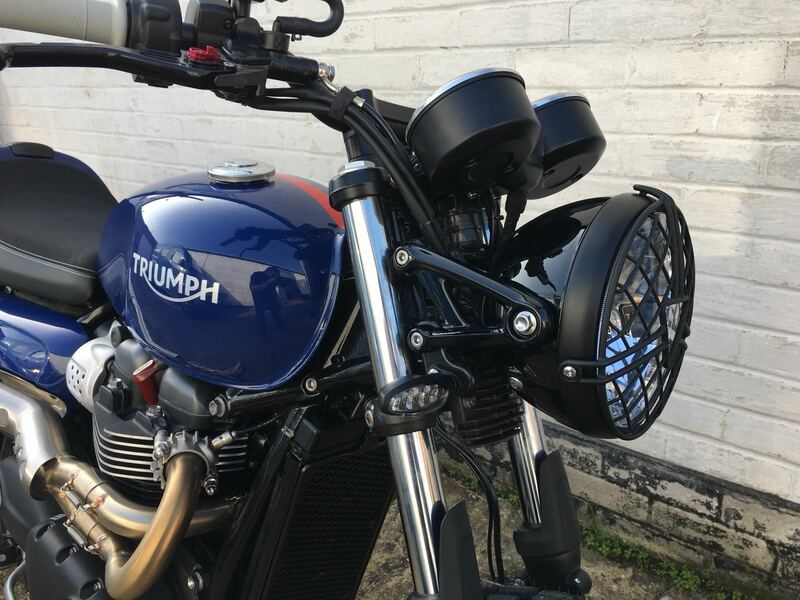 At the back are the Fox Street Scrambler adjustable rear shocks and an R&G Fender eliminator with a rear light unit, and a Hi-Level Vance & Hines exhaust system. 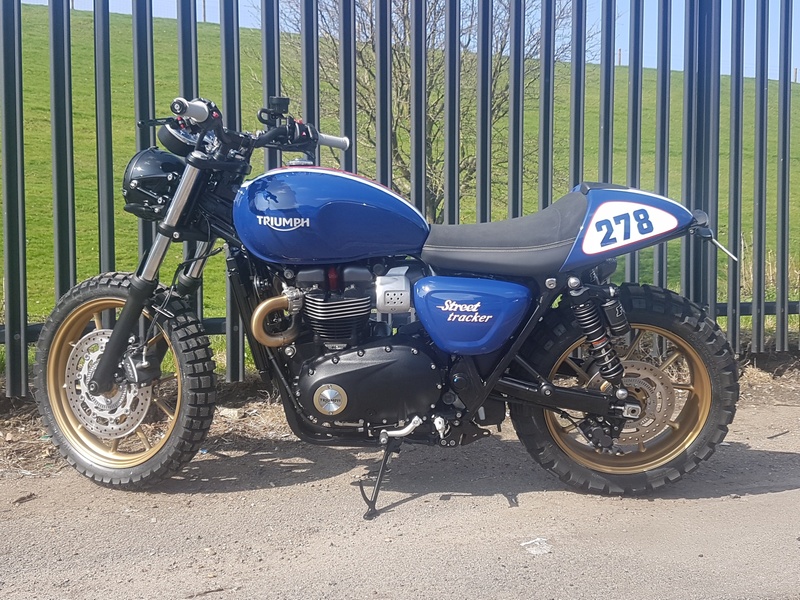 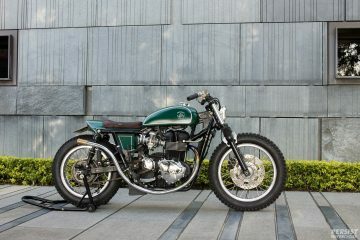 The finished Triumph Tracker now sits on gold painted wheels, fitted with TKC80 tyres. 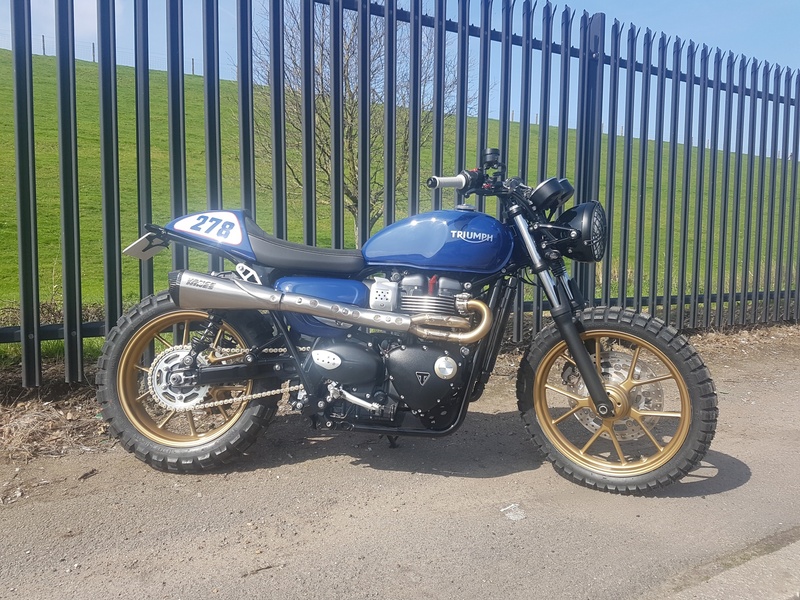 Though this particular build is now sold, if you wanted something like this – it will cost you a reasonable £12,999 on the road.